We all know the importance of having clean teeth, but with our busy lives it’s sometimes hard to keep on top of our dental health. The team at Premier Family Dental is here to help, so we’ve prepared some helpful tips for you! If you’re on the go a lot, consider investing in a toothbrush for your office, so you’ll always have one. Another good idea is the Colgate Wisp, a one-use disposable toothbrush that doesn’t need water. You can keep a pack handy and always be able to freshen your breath easily. 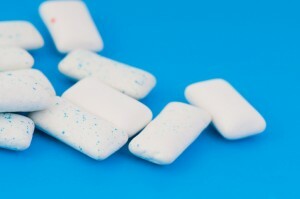 Unfortunately, though, you can’t always brush after meals, so consider making sugarless gum a regular part of your life. You can keep a pack in your purse or desk, so it’s always there. How does this help? By increasing the flow of in your mouth. This can help neutralize the acids and bacteria that are found on your teeth, especially after eating. You can also consider keeping some floss in your desk drawer or purse as well. You never know when you’ll get a little particle of food stuck between your teeth! Not only is it annoying, but it also gives bacteria and plaque a chance to grow and form, so it’s best to remove particles like these as soon as possible. If you want to want to learn more about tips to keep your teeth clean, our Waco team is ready to help. Give us a call. Premier Family Dental proudly serves patients from Lorena, Robinson, Hewett, and surrounding towns. by: Dr. Rick Cofer at November 27, 2012 .